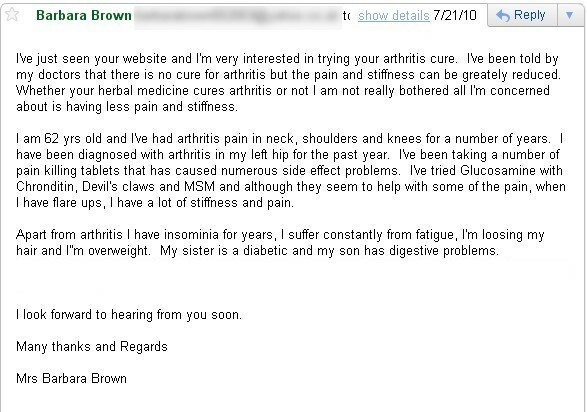 _ Mrs. Barbara Brown (62F) Contacted us from London (UK) for her Osteoarthritis, fatigue, weak bladder, insomnia, hair loss, Hormonal issues and a lot many other problems. She was suffering from Arthritis for the last 25 years. She reported positive results from day one and is living a pain free life and her condition improving day by day. Now she is easily doing rowing for more than 45 minutes.